Saigon Sisters has introduced Chicken Curry Banh Mi to its menu. Curry lovers rejoice. This dish combines grilled lemongrass chicken, curry mayo, pickled red onions, mint, cucumber, cilantro, pickled daikon, carrots, and jalapenos. If you’re planning to attend an outdoor concert in the park, grab Saigon Sisters quick and delicious banh mi, specialty drinks, and snacks before you hit the road. 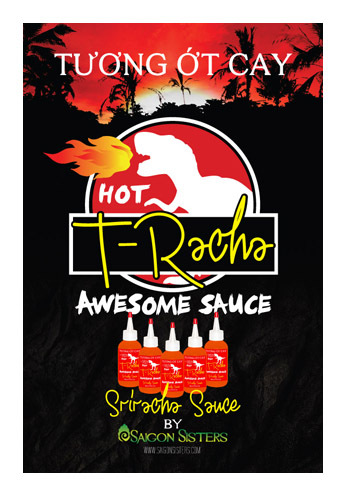 Saigon Sisters is conveniently open until 7 p.m.
Saigon Sister’s T-racha Hot Awesome Sauce is now available for $7. This sauce has been featured and recognized by the Tasting Table and Chicago Tribune as the “hot sauce” to take home.